Something refreshingly different for the on-piste skier, the Niseko Jacket is a high-performance resort jacket disguised beneath urban-inspired, sophisticated style. Defender 4-way stretch fabric provides optimum freedom of movement, while maintaining the highest level of waterproofness and breathability, and the Primaloft insulation offers long-lasting, breathable warmth. 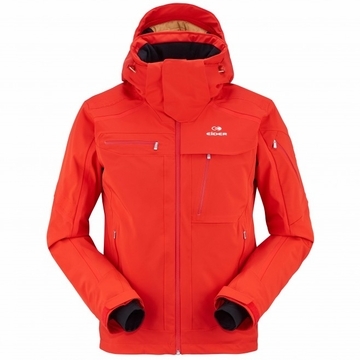 The Niseko�s mix of top-of-the-line features provide functionality for a full day on the mountain, while its understated, clean style and athletic cut, make it the jacket of choice for style-driven men. A true covet-piece for today�s resort skier. Insulation : PRIMALOFT� SILVER ECO 60g // 30% POLYESTER 70% RECYCLED POLYESTER "